Melda Umur Saguner was born in 1984 in Izmir/ Turkey. She began her first professional music and double bass studies at the age of 16 in „9 Eylül State Concervatory Izmir/Turkey. After finishing her Bachelor studies in 2006 in Izmir, in the same year she was accepted for Master Studies in the University of Arts Bern Switzerland (HKB) in the class of Prof. Béla Szedlàk, where she finished Master of Performance specialized in „Viennese Tuning double bass“ in 2009 and Master of Performance minor Orchestra in 2012 with excellence. She was chosen twice as soloist in the competition of „Junggenc Philarmonie“, where she performed several concerts in Berlin and Schweinfurt. She performed numerous concerts as soloist with a number of orchestras and chamber music formations in Switzerland and Germany. Melda Umur Saguner regularly performs in 21st Century Symphony Orchestra Luzern, where she attended numerous concerts in KKL Luzern, Auditorium Stravinsky Montreux, Palais de Congres Paris, Alte Oper Frankfurt, Royal Albert Hall London, and Lincoln Center New York. She is principal double bass in Camerata Cantabile, solo double bass in Paul Taylor „orCHestra“ and member of salon-music Quintet „Musici Volanti“. 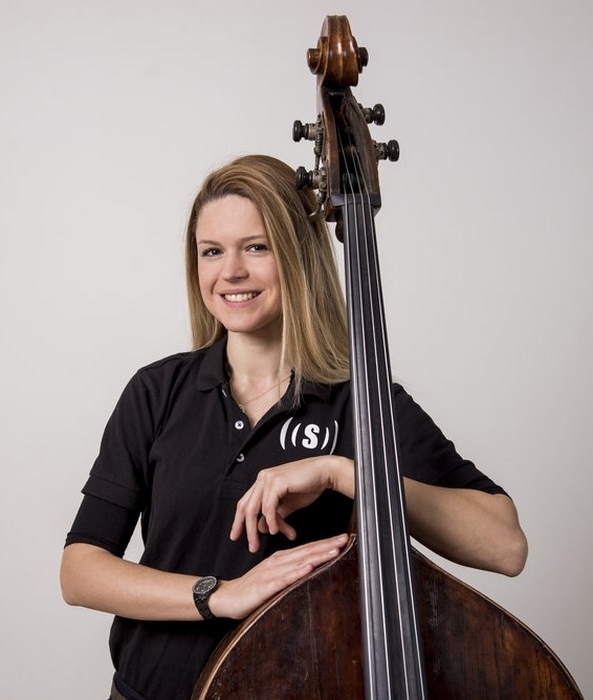 Besides her soloist and orchestral activities she is committed to teaching young double bass students in Superar Suisse Zürich.